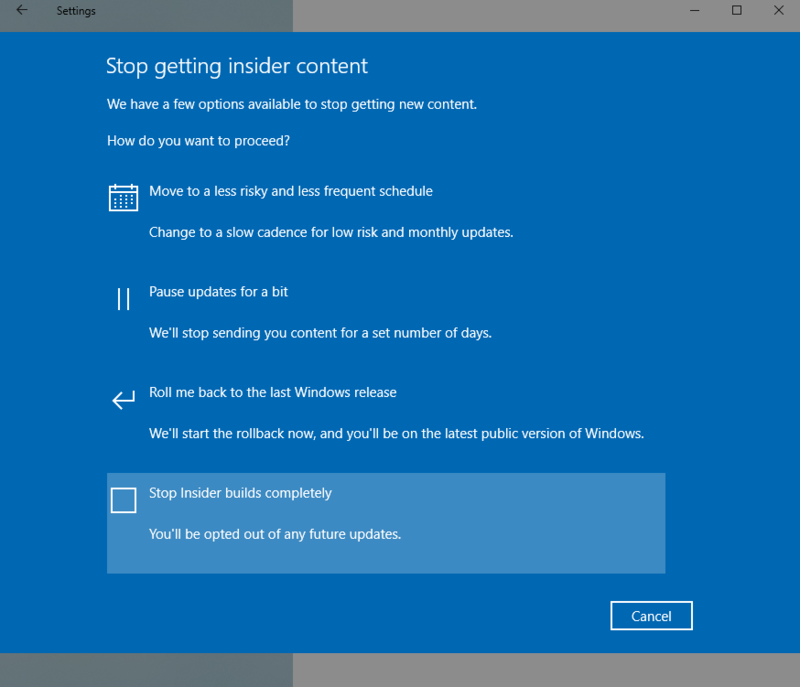 The new Insider Program of Windows 10 will be released by Microsoft in the coming month of October 2018, so you need to hurry if you really want to opt-out from the Windows insider program. There isn’t any better time than now to do it. This insider program is as same as Apple Beta Program works for Mac and iOS. Microsoft is launching its program to give access to new features earlier so they can give their feedback to Microsoft and the coming Windows can be shaped by those suggestions as well. If you get the Insider program so there will be a lot of chances of getting bugs, unstable window condition and system will not be working properly. 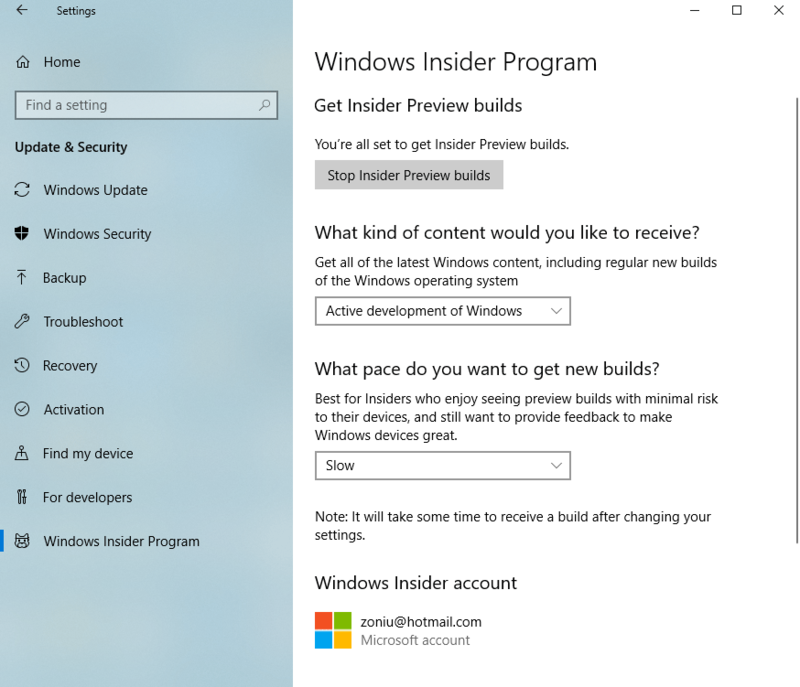 If you already opt-in the Insider program and want to cancel it to run the stable version of Windows. Follow our step by step guide and we can help you to safely opt-out from the Insider program without losing any of your data, settings, and apps. Do not worry if in the nearer future you would install the latest OS without its official public release, we will guide you as-well to how to take yourself out from it. Let’s start with the steps of how to opt-out from the pre-release, buggy and unstable version of Windows and how to remain in a stable and bug-free version of Window. From the Settings window click on “Update and security” option. Now, from the left side select the last option which is the Windows Insider Program. On the right section, click on the Stop Insider Preview builds button. To stop receiving Insider content, click Stop Insider builds completely option. There are a couple of more option if you want to stop preview updated for a few days or even want to receive only less risky updates. Now click on the Confirm button and then click on Restart now button. Once you are done with the steps, you have successfully opted-out from the Windows insider program and will no longer receive any preview updates. Now your System will be having the regular stable Windows updates as they’re released each month. If you have already installed the first preview of the Windows Insider program, do not worry, you can opt-out from the program without losing any of your data like apps, settings, and files. In order to do this, you need to follow some extra steps. Just follow the steps now. On Settings window click on Update and security. Now from the left side of the opened window, click on Recovery. 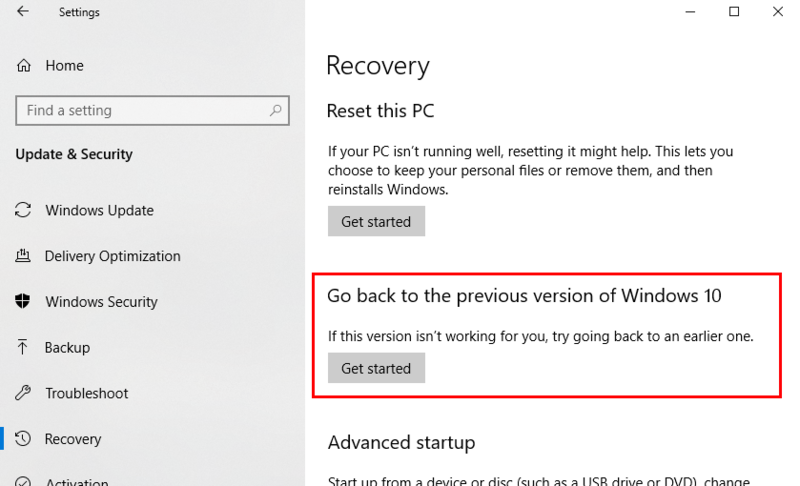 There you will find Go back to the previous version of Windows 10, under that option click on Get started. The Window will ask you for any reason for going back to the previous version of Windows 10, choose any one from them and click on Next. Now click on the Go back to earlier build button. Open Settings and click on Update and security. From the left side of the opened window, click on the last option which is Windows Insider Program. Click on the Stop Insider preview builds button. A blue window will appear now, choose Stop Insider builds completely option. 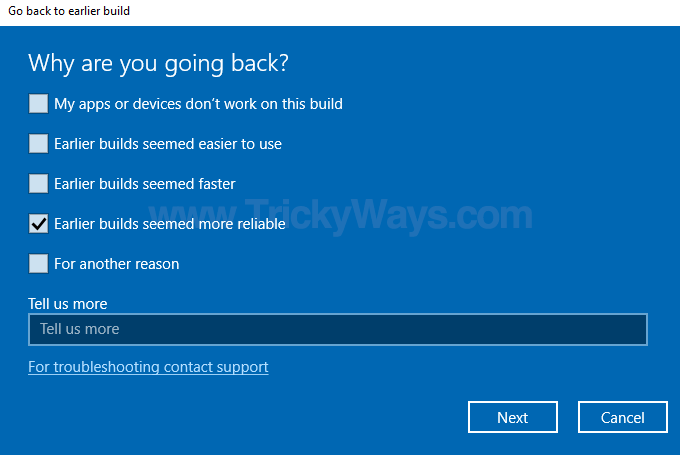 Now you have moved back to previous stable build of Windows 10 after completing these steps. 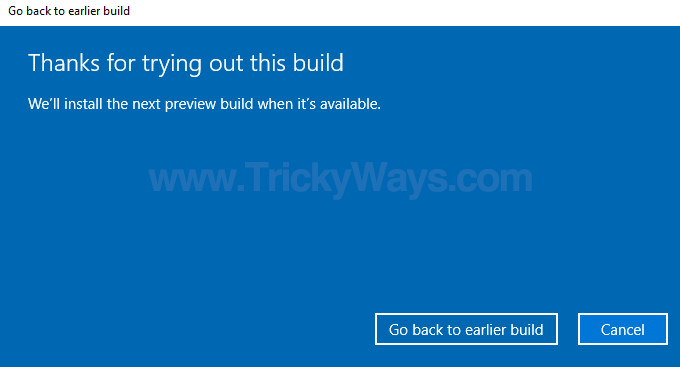 Your Window will not be able to receive any preview builds of upcoming Windows 10 update.